Just how engaged is your salesforce? Do they love all aspects of their position — the cold calling, the deal closing, the CRM, and so forth? In an ideal world…Yes. Here on Earth…. In reality, the typical salesforce cares about certain aspects of their job, while feeling apathetic and disdainful towards others. When is a salesforce engaged? According to empirical studies, the average sales rep tends to feel engaged, motivated and invigorated when performing his or her core activities, that is, engaging with prospects, setting meetings, and working towards closing a deal. On the other hand, more rudimentary activities (*cough* data input in their CRM) tend to induce feelings of deflation and annoyance. Here are 3 tactics you can deploy that will drive healthier culture and increase salesforce engagement in your organization. Sales reps compete against three things — their quota, their peers and themselves. Which is why it’s time you re-conceptualize their performance data. Competing against quota is like playing a round of golf. You’re competing against the course, except instead of completing 18 holes in under 72 strokes, you need to close $180k in new deals in under 12 weeks. Reps who only compete against quota have the lowest level of engagement. Competing against your peers, alternatively, is like running the 100 meter dash. In terms of engagement, it’s a step up from competing against quota, but it also comes with a shelf life. Competing against oneself is like staying fit. It takes the most natural discipline, but it’s also what separates the good reps from the great reps.
Why? Because there’s no finish line. Only a singular objective — make today my best performance yet as a sales professional. Millennials crave recognition as much as any generation in workforce history. As it turns out, they also crave both collaboration and competition. Guess what: Team objectives solve all three problems! And there are a number of ways to organically implement them into your existing processes. Example: Say you’re in a sales organization that onboards new hires in clusters every few months. From this day forward, track each new hire batch’s initial 3 months of performance, using your 3 most pertinent metrics for onboarding. 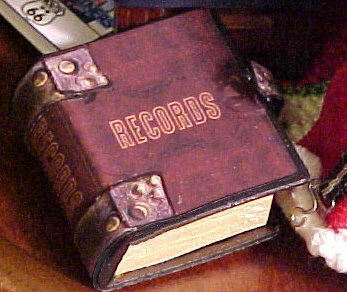 Take those numbers and put them in a Record Book that looks like it belongs in a museum next to the Constitution and the Declaration of Independence. .
Or, of course, you can just keep a digital Record Book. The point is: Make performance data a part of company lore. A new tradition — one that recognizes elite performance and sets the bar for future reps. In doing so, you’ll place a compelling narrative around your personnel’s performance data. That narrative will be an ancillary, but beneficial driver of engagement for your salesforce as long as you continue to maintain it. Productivity metrics are nowhere near as compelling as performance metrics. Millennials already know how hard they’re working — if you really want to grab their attention, give them their advanced metrics. Advanced metrics (ex. average sales cycle length, lead-to-close ratio) recognize professional skill. They are the yin to your productivity metrics’ yang. And they send the right signal to your reps — that is, your perception of them as sophisticated professionals. Incorporating advanced metrics into performance evaluation in this day and age is fairly straightforward. I’m not advocating that you turn into Billy Beane from Moneyball. Just someone who appreciates advanced metrics at a higher level than, say, Charles Barkley. (Quick message to Sir Charles from Ambition: Chuck, you’re dead wrong about analytics, but it’s okay. We still love you). Congratulations, you’re ready to begin implementing some new tactics that will drive and sustain salesforce engagement moving forward. A data-driven approach is the best way to increase salesforce engagement — we hope that you find these suggestions to be effective solutions in your organization.